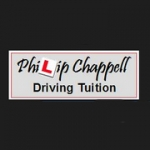 Welcome to Philip Chappell's Driving Tuition - first choice for driving lessons in Exeter. If you're looking for a driving school in Exeter, Cullompton, Honiton or Tiverton - call me today and take the first steps towards your driving licence and the skills you need to become a safe, confident driver. 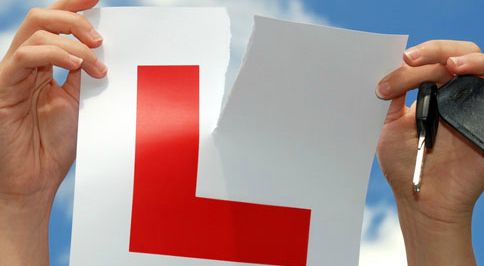 As a fully qualified and experienced driving instructor, Exeter learners are assured unrivalled one-to-one driving lessons with no 'piggy-backed' students to detract from their learning experience. I offer a wide range of driving lessons in Exeter and surrounding areas, from standard tuition up to intensive courses, Pass Plus instruction and motorway driving too - and I'm happy to tailor driving lessons to meet your specific requirements. If you've never tried my driving school in Exeter, I offer a two-hour assessment lesson completely free - allowing me to assess your driving ability and for you to see if I'm the right instructor for you. With a successful history as a driving instructor in Exeter I've had the privilege to help countless learners to obtain their driving licence, with a focus on becoming a competent and safe driver rather than simply pushing people towards their test. As our roads become ever busier, having the skills to negotiate today's traffic calmly and with confidence is an essential part of my driving lessons, and Exeter's learners can be assured the very best tuition at all times. I offer driving lessons in Exeter and surrounding areas from 8am to 9pm, seven days a week including Bank Holidays - with no extra charge for evening or weekend driving lessons. 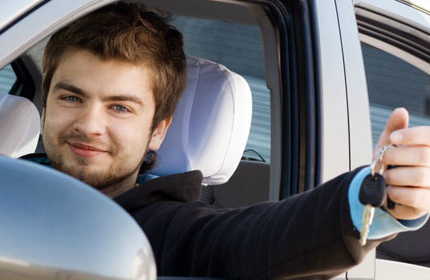 Whether your lesson begins at home, work or college - I can arrange pickups and drop-offs at your convenience, enabling you to schedule driving lessons around your own busy schedule. Call me today for more information about my driving school in Exeter, alternatively you can email or text and I'll get back to you as soon as possible to discuss driving lessons with you. Book your free two hour assessment with one of the foremost driving instructors in Exeter now and look forward to a life of safe driving and the freedom that comes with it! Free theory and hazard perception DVDs and books available for continued home learning. This service is offered to all my learners to save them time and money trying to find the correct material for the theory test. My learners find this a very useful service. I provide a door to door service enabling you to be picked up and dropped off at home, work or college at your convenience. Tuition can be provided on a regular weekly basis or if preferred, owing to circumstances, as an intensive or semi-intensive course. I also offer Mock Tests to prepare learners for the real thing. I am fully qualified to teach Pass Plus, a six hour course for pupils who have passed their test, to include out of town driving/rural roads, all-weather driving, night-time driving, motorway driving. 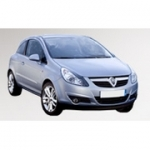 Once completed you will be issued with a DSA certificate which could save you money on your car insurance. If you do not wish to take the full Pass Plus course I offer a 2 hour motorway lesson. I can book your theory or practical tests if required at no extra cost. Gift vouchers are available which make perfect Birthday or Christmas presents. Passed my test first time thanks to Philip, he's a great instructor and I'm happy to recommend him. Very patient and professional and gives great feedback, his lessons were much appreciated.